Give me a car with a stick….. NO SUV’s for me! One wonders what Henry Ford, would think? The car company bearing his name, will soon stop making cars. With the exception of the Mustang (The Chinese love Mustangs) and a Chinese built Focus, that’s it. Ford Motor Company will build Suv’s and Trucks. Ford wasn’t the first. Chrysler unofficially killed the car in 2016. The first and only cars built and designed after Chrysler’s shotgun marriage to Fiat, the Dodge Dart and Chrysler 200 were officially put down in 2017. The remaining cars, the Dodge Charger and Challenger along with the Chrysler 300 are still moving out of dealerships on a nearly 15 year old platform and should live on until Fiat mergers with another company or Fiat derides to kill the Dodge, Chrysler and ironically Fiat (in America) The Fiat, has to be the loneliest dealerships in America ,with one SUV that no one seems to be interested in. Unlike Ford and Chrysler, GM will continue to build sedans but fewer of them. They will eventually convert some of its car plants to build more profitable SUV and trucks. Bentley has a SUV, the Bentayga, Audi, BMW, Porsche and Mercedes are designing more SUV’s as you read this. Ferrari, YES! FERRARI! 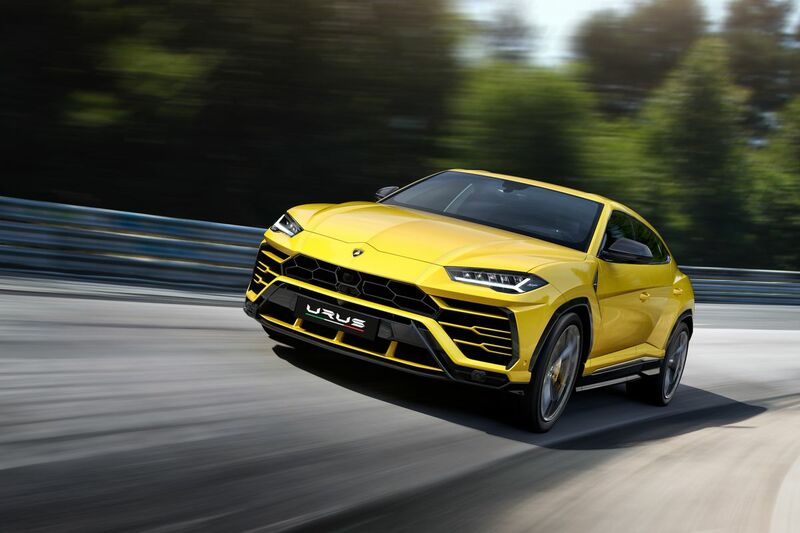 will introduce an SUV in 2019! None of these gas robbing beasts are available with an manual transmission. Manual transmission cars are rapidly disappearing from the landscape. I’m one of the 3% of Americans purest, who still want to row their own gears. I love the feel and control of a car with a manuel gearbox. It’s an sensation you can’t get with an automatic. One of the advantages of owning a stick in America. Your car will be one of last cars stolen from the shopping center parking lot. 3% means fewer automakers are building cars with manuel gearboxes. They are available on compact and subcompact cars. Toyota no longer offers a stick on its midsized Camry. Mazda’s Model 6, has the stick on its base model only, meaning..if you want something with a sunroof and a few other niceties, forgetabout it! Only Honda’s Accord offers a manual gearbox on every model and engine, now if I could only get past that ugly nose. With the exception of their Fuel Cell and Hybrid models. Honda is the only automaker that offers a stick on all of their cars. . I would like to blame the popularity of the SUV’s for the demise of the stick. But there are other factors. The manual shifting car was once the most fuel efficient, they were staples in Europe and other parts of the world. Today with computer monitored 8, 9 and 10 speed automatics combined with small displacement turbo charged engines, the manuals along with the V8 engine are in their last days. Some say, it’s about the height, they feel safer. Others say its the utility, they can buy cases of toilet paper at Costco. Since this is the vehicle of choice for many boring mortals, the thrill of driving is quickly dying. Most of the successful SUV’s sold, are crossovers built on a car platform. These are lighter, more nimble and more fuel efficient than truck based SUV’s If your car junkie like me, who reads everything automotive, you’ll notice few auto Journalist get excited about SUV’s . Yes they, will say this SUV’s handles well, but there isn’t any excitement unless its an expensize and powerful European SUV. 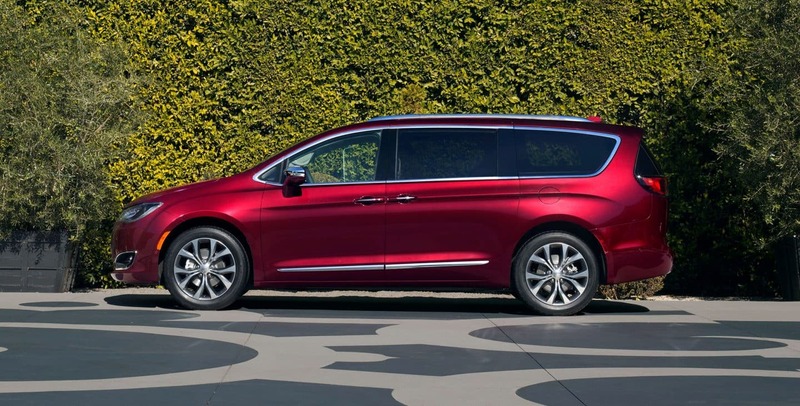 If I had a large family and needed extra space, I would choose the Chrysler Pacifica or Honda Odyssey, Mini Van over any SUV. (YES, A MINIVAN!) They drive about the same as SUV, and on average they have more room (especially the Pacifica, with those nifty seats that fold into the floor -now thats utility!) they cost less to operate and they carry more stuff than SUV’s. Your next, next car will be electric. Many countries has chosen 2025 to limit the number of internal combustion vehicles sold in their respective counties California, hopes to have five million emission free cars on the road by 2030. China 7 million by 2025. India says 30% of the cars sold must be emission free by 2030. Once, there is a standard for building batteries, there will be more electric cars on the roads. Electric cars having fewer parts than a combustion engine results in lower manufactoring cost for automakers. Gone are complex transmissions, and electric car has 30% fewer parts than a conventional car. Will there be Electric SUV’s yes, as for manuel gearboxes? Chrysler is alive, for now. At yesterdays FCA meeting the company’s five year plan is to invest into the brands that make money for Chrysler. Seventy five percent of FCA investment will go to Jeep, Ram, Alfa Romeo and Maserati. What that means, if you the current, Chrysler, Dodge or Fiat vehicles you will like them through 2020. Chrysler and Dodge isn’t losing money, with the exception of the Chrysler 300, sales are solid for the aging Dodge Charger, Challenger. The 13 year old platforms may continue with minor updates. FCA ,like Ford is redirecting its resources to higher profit trucks and SUV’s. It plans to invest in hybrid and electric technology. There will be major product changes at FCA. Jeep will add 500,000 units of North American manufacturing capacity as it increases sales and adds new models between now and 2022. The next new vehicle from FCA will be a Ram mid siz]e pick up. The first casuality is likely to be the Dodge Journey as it doesn’t currently share a platform with any other FCA vehicle. The first brand to likely disappear is Fiat, the dealers can’t give them away. The challenge for FCA is the dealer network. Next up could be the Dodge Durango,even though it shares its platform with Jeep its sales aren’t even close. Then the Dodge Caravan which is mostly sold to fleets. From there the Chrysler 300. Yesterday, I originally thought the Chrysler Pacifica would be rebranded as a Dodge. Today the popular minivan likely to rebranded as a Ram. When Chrysler was told, Fiat or close. Did the government for see the eventual phasing out of Chrysler? Are the American auto manufacturers giving up on cars? A few years ago, familiar American nameplates started to disappear, Plymouth, Mercury, Oldsmobile, Pontiac victims of overcapacity. These models share most components with other corporate models. Plymouth shared engines, suspensions with Chrysler and Dodge. Mercury with Ford and Lincoln. Chevrolet, Buick shared parts with Oldsmobile and Pontiac. American manufactures have long struggled building fuel efficient cars. This was evident in the 70’s when fuel charges increased and in low supply. Toyota, Nissan and other Japanese automakers flourished and established a sizable foothold on the American market. 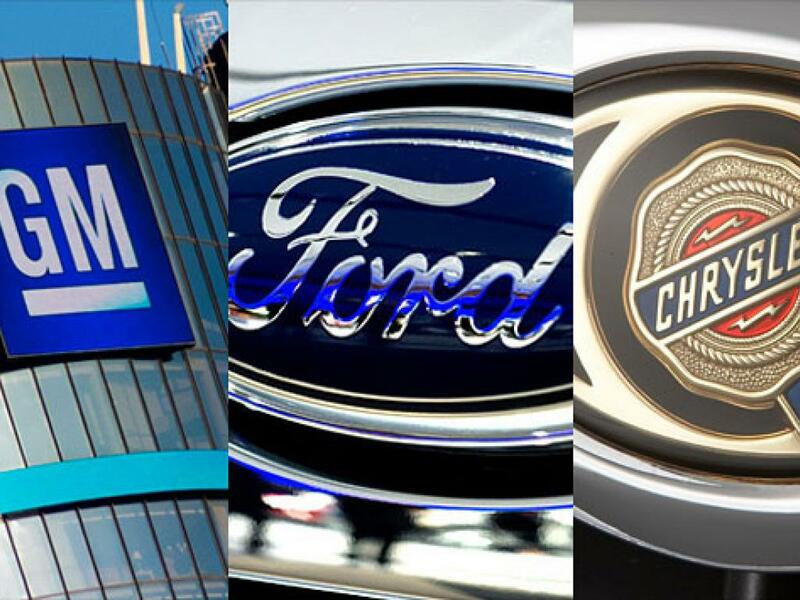 While then the big four ,General Motors, Chrysler, Ford and American Motors struggled. Where American dominate, is trucks. The Ford F-150, has been the best selling vehicle in the United States for more the 30 years. At GM and Chrysler its the same, trucks. While they sold more cars, profit was in the truck business. Today, trucks and SUV’s are the best selling vehicles. In 2016, Chrysler announced they were discontinuing the Dodge Dart and the Chrysler 200 to focus on Suv’s and trucks. Chrysler currently sells three car models, Chrysler 300, Dodge Challenger and Dodge Charger all three model share the same platform that dates back to 2005. Chrysler sells 8 Suv models. Last month the Ford Motor Company announced in the next few years they plan to discontinue every car except the Focus Hatchback which will be assembled in China and the Mustang. They cite profitability. General Motors, said they may discontinue the Chevy Sonic and the slow selling Impala. Every Automaker is experiencing slower auto sales . However, none of the Japanese and Korean auto makers plan to discontinue car. For 2018, GM released an all new Buick Regal sportback and wagon. Toyota introduced an all new Camry and Avalon. Honda, an all new Accord. Nissan a new Altima. Volkswagen and Subaru have introduced all new models. Could History Repeat Itself ? A lot of capitol is needed to build fuel efficient vehicles. The industry has spent hundreds of millions to develop and build new fuel efficient, engines and transmissions in addition to being fuel efficient the vehicles are laden with mandated safety equipment. Ford was one of first american automaker to equip most of their car and truck fleet with turbo charged engines and aluminum it its truck and Suv’s. While GM and Chrysler truck fleet have the old school V8 engines, Ford uses smaller displacement 4 and 6 cylinder turbo engines. The investment has paid huge dividends for Ford. Demand is up for the F-150 pickup. The full size Ford Expedition and one hundred thousand dollar Black Label Lincoln Navigators are flying off dealer lots. American automakers hasn’t successfully found the secret sauce in building a small car. But they were coming close. Instead of starting with a fresh piece a paper, they imported existing models from their foreign subsidiaries. The Ford Focus and the Chevy Cruze are built on a global platform. What they aren’t, is profitable. Low gas prices has driven the market. The hot segment is the compact SUV and the large SUV’s, Toyota’s Rav’s 4 and Nissan’s Rogue are on fire. With gasoline prices on the rise, will history repeat itself? Ford unlike Toyota ,has not expanded their hybrid technology. Toyota has three hybrid passenger cars, and two Suv’s . Ford currently has two hybrid passengers cars . Ford says future F-150, Mustang, Explorer, Escape and returning Bronco with have hybrid options. However there is no specific date to when these vehicles will come to market. Gasoline prices nations wide as of this date is $2.92 a gallon (a three year high) by late summer, based on current projections we may see $3.60. (California $4.20) . History: Should fuel prices remain high, it will have an impact on sales. Of the domestic automakers. Chrysler is by far, the most vulnerable to high fuel prices, the only fuel efficient car option is the slow selling Fiat 500. Ford can weather the storm for 2018 and they have the option of extending the execution date of its Fusions and Fiesta’s currently piled high on dealers lots. General Motors has the best mix of cars and trucks. It currently offers a diesel option on a few of its Suv’s, it has the successful electric Chevy Bolt and can quickly adapt that technology to future models. If fuel prices continue to increase, the Japanese and Korean automakers are in the best position. Toyota and Nissan has the largest selections. Nissan is the only foreign automakers to offer compact to full size trucks and full size cargo/passenger vans. Volkswagen wants to be a serious player in the North American Market, its has a well rounded fleet with vehicles achieving 40mpg. In the last few years VW has introduced an astounding, 6 new models with a new luxury midsize due this fall. For 2018, the company now has a new 6 year 72,000 mile, bumper to bumper warranty in the US. Unlike Hyundai/Kia the warranty is completely transferable. The Hyundai Group, which saw a dramatic drop in sales of its mid size Sonata and Optima mid size sedans. Is committed to sedan . Despite slow sales, Hyundai has introduced 3 new hybrids and four subcompact and compact cars. Hyundai is planning to bring an all electric Suv, the Hyundai Kona to market this fall with a range of 250 miles. Ford was the only American automaker that survived the last economic downturn. Will their plans for the North American market hurt them in the long run? FCA has had several lives in North America, will their reliance on an Suv’s and trucks finally seal their fate? Will General Motors follow suit?